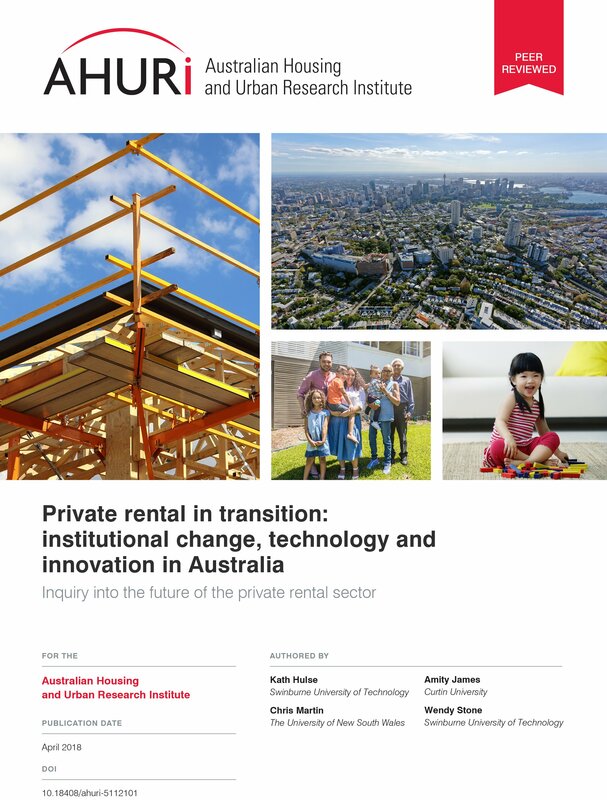 This project aims to scope, map and analyse institutional change in the Australian private rental sector (PRS) and to consider implications of this change for future reform of the PRS to improve sector performance in terms of equity, efficiency and effectiveness. Findings will provide policy makers and others with a comprehensive and up-to-date understanding of the dynamics and drivers of institutional change in the PRS, filling an important gap in current knowledge. This is significant since the PRS is a critical part of the housing system, already housing a quarter of Australia’s households, including many lower income households. As it is also the most dynamic housing sector, there is an imperative to develop public policies which harness the opportunities associated with institutional change and mitigate potentially adverse effects. This includes a variety of policy levers and regulatory responsibilities of governments at all levels.